Futuristic Fiction: Two MIT scientist (lovers) create a simple invention that unexpectedly cracks all the major mysteries of life. Together, with the help of an entity who prefers to be called 'UnK'; they unlock the age-old secrets of life, death and beyond as UnK struggles to unify Earth and the entire Multiverse. In a not too distant future, the U.S. government takes drastic action to control the exploding populations of homeless. Chaos reigns until a band of insignificant an irrelevant indigents, unite. A struggle ensues to take back America's lost freedoms. The battle becomes one for the economy and the eroded democracy as well. Can an audacious Irrelevant Few regain America's lost democracy? How? Sally, a single mom and her two boys are economically strapped and stuck in a backwater nowhere called South Draw, Texas. Their lives are forever changed one totally frightening and awful summer afternoon in June, 1991, bringing a conclusion to (Buzzard Bait) EZ Zeke McBride's lost fortunes. All the above are PAPERBACKS. They will arrive at your door. DIGITAL BOOKS: DOWNLOAD & READ NOW! Futuristic Fiction: Two MIT scientist (lovers) create a simple invention that unexpectedly cracks all the major mysteries of life. Together, with the help of an entity who prefers to be called 'UnK'; they unlock the age-old secrets of life, death and beyond as UnK struggles to unify Earth and the entire Multiverse. Western Fiction: A young prospector, EZ Zeke McBride is dying of thirst and starvation in the South Texas desert. 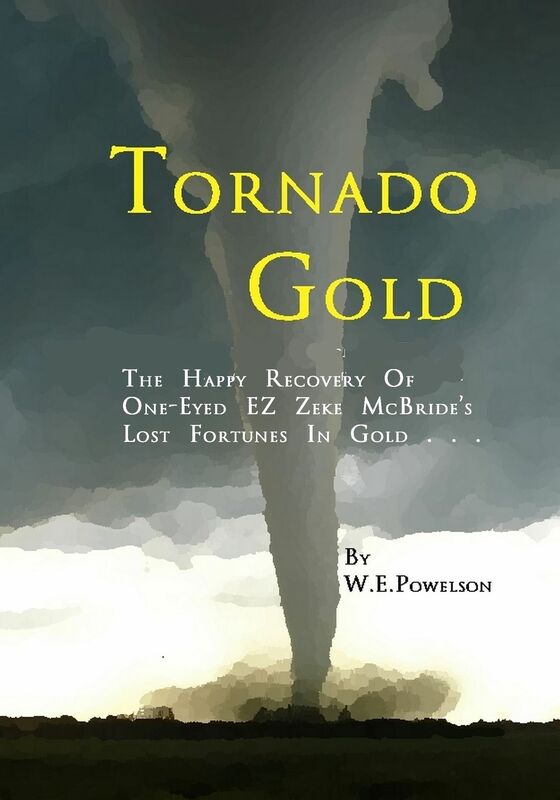 He reverses his luck with the twist of a knife and finds himself on an adventure that leads to a lovely soul mate and a pile of gold. Together, along with a host of great friends they meet along the way; they show the Wild East how good fortune and a few miracles can occur in the Wild West. 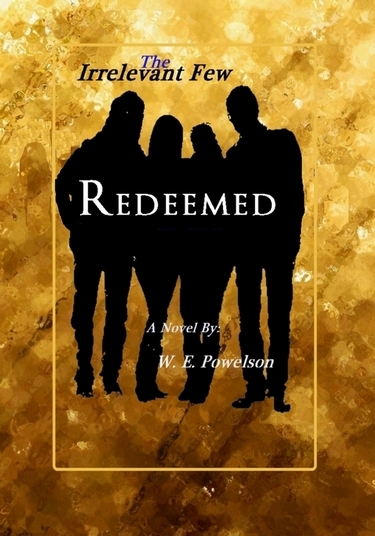 "May all of our darkest times morph into pure gold:"
Modern Disneyesque Fiction: Sally, a single mom and her two boys are economically strapped and stuck in a backwater nowhere called South Draw, Texas. Their lives are forever changed one totally frightening and awful summer afternoon in June, 1991. 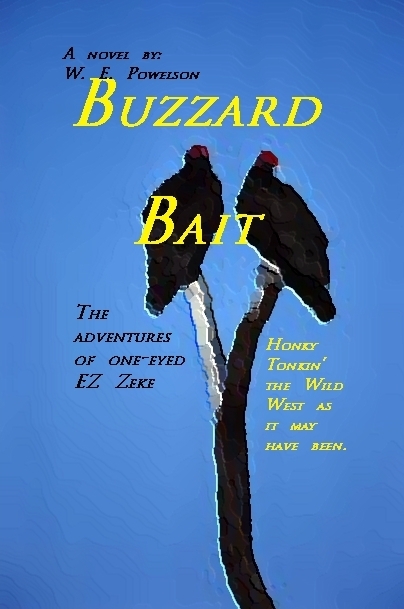 Their adventure brings a conclusion to (Buzzard Bait) EZ Zeke McBride's lost fortunes. (Free) "Open Office: Through the Meatgrinder"
The Open Office E-book formatting Styleguide (above) is 100% FREE. It will help with all e-book formatting, no matter which word processor is used. "Time Signatures: Finite to Infinity" Simplified into dancebeat structures: 1/1 to 64/64. Non-fiction, New Approach. Discover 18 quintillion song-beats. Discard all phobias about musical time. Easy to follow. 7 short chapters to Rhythm Giru status. "Yes, I'll do it for you!" Setups: approximately $35.00 (per 300 pages). Or; I'll help you DIY at no charge, (see below) . . . Here's what you will learn . . . Learn to prepare and format e-book (or Paperback) manuscripts for instant publishing. 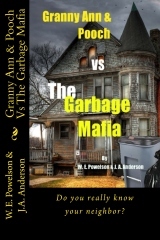 E-mail me for help with (Free) Paperback publishing. Or; discover E-book publishing below. All Free! 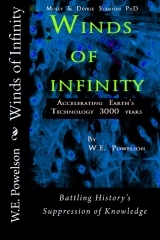 E-books and e-publishing are the newest waves of the Web and Internet. There is money to be made formatting e-books. Plus, if you are a budding (or professional) author, you can easily prepare and publish your own e-works, (sometimes within a matter of an hour or two). The electronic age is about to do away with smug and greedy publishing companies. This is great news for budding authors and noted authors as well. It means much greater profits for writers and authors. It also means that formatters are suddenly in demand. It is an easy job too, once you have formatted your first e-book. You will be well on your way as you finish reading this web page. The formatting process is essentially the same for any e-book. With a little time, thought and experience you will quickly realize how easy it is to setup and publish an e-book. It actually only takes a matter of minutes to do the final publishing of an e-book into several (6 to 7) file types. Once the document has been properly setup and formatted to specific standards, it will hopefully fly through the (online) Meatgrinder and emerge as a published work. Your published e-book will then open and function with nearly all of the e-reading devices that have become so popular in the past couple of years. Once approved by the team at Smashwords, your book will immediately be distributed and for sale to nearly all the various retailers around the World. Please note! There are no required sign-ups, no data-collecting, no advertisements, no gimmicks or tricks at this web site. It is simple. Read this web page. Download my free 'How To" (e-book): "Open Office Through the Meatgrinder". Learn to format, right now. There is no catch! That is my promise and my guarantee. This web page help is here to simply show people how easy, lucrative (and entertaining) Smashwords-Meatgrinder E-book Publishing can be. It's actually fun and engrossing. I've been into it for several months and I've discovered some major time-saving tricks that will eliminate the confusion and frustration to make the job of formatting e-books much, much easier. I only want to show others how to save time and headaches when doing the job. You'll (hopefully) enjoy a little diversion of fun. Maybe, if you can toot your own horn a little . . . it may make (or save) you money. I've written a free-e-book that explains in four easy chapters, exactly how it's done. Look for the free e-book, "Open Office Through the Meatgrinder" (over in the left column), download it and read it if you are interested in formatting e-books for yourself and/or for others, possibly for profit. You will save approximately 10-hours of frustrating and complex study if you are converting a literary work (book or novel - fiction or non fiction) into an e-book form for any of today's many, many reading devices like Kindle, Nook, Palm Doc, Adobe Digital Editions and numerous others. You will save exactly $109 using the FREE Open Office (word processor). It means you will not necessarily need to purchase the full version of Microsoft Word (word processing software). However; these templates will save headaches and time for Microsoft Word users too. The free template downloads (below) should work well within any word processor. They'll automatically set the font styles, sizes, headings and paragraph indents to Smashwords requirements. The templates will help you avoid all those tedious, daunting hours, trying to set your word processor's internal gears exactly to Smashwords (e-book) requirements. The templates set everything automatically as they load. My free E-book Open Office Through the Meatgrinder, (available via this link or in the left-column) will walk you through the formatting process if you choose to use free Open Office. You will probably finish your daunting formatting task by the end of Chapter 2. Yes, it is that fast and easy! Download your free template(s) and a copy of my free E-book, while you are here. The idea here is to help budding authors and self-publishers save time, frustration and money when formatting and sending their literary works through the 'Smashwords Meatgrinder'. Everything is free here (except my fictional novels). My free templates will save you a lot of grief as you try to prepare your e-books for publishing at Smashwords. I only wish to save you time and money and therefore hope you'll purchase my inexpensive novels advertised over there in the left column. The hardest part of e-book formatting is the process of learning how to tame your word processor enough to please the online e-publishing formats. Downloading these FREE templates will save you TIME AND HEADACHES (no matter what word processor you are using), including the full version of Word. The templates you may download for free here, will do the lion's-share of the preparatory work and simplify the learning curve for you (instantly); so that you can concentrate on the formatting job of getting your e-book properly setup, published, into the marketplace and for sale, quickly. "Will my ________ (fill in the blank) word processor, work for preparing my fictional or non fictional novel or book for Smashwords and the Meatgrinder? YES! If your word processor will load my templates intelligibly to the necessary and proper font styles and sizes and set the paragraph-indents as well as the headings. Your word processor will need to recognize and automatically adjust to the exact and specific Smashwords specs within the templates. NOTE: That's exactly what these free templates (below) will automatically do for you. So, scratch the above issue off this list. The answer so far is YES, (unless your word processor has trouble reading and displaying my free templates). Your word processor may work if it will create a 97/2000 (or later) "Word" .doc file. (Very important! It absolutely MUST be a .doc file; not .docx or any other Check your word processor for that. Your word processor may work if it has a BOOKMARK FUNCTION and a HYPERLINK FUNCTION. Check for those two issues as well. Important! If it lacks either of those functions you may need to choose a different option if you hope to avoid purchasing the $109 version of Word. I recommend 'Open Office' because it is free and It will do the whole job. 'Word Starter' and 'Open Office' may also be used together (in tandem) to get the job done, but it's a little cumbersome and tricky. My first three books were done that way. Now, I recommend 'Open Office' exclusively along with these free downloadable templates at the bottom of this web page. You'll also probably need my (also free) "Open Office through the Meatgrinder" e-book. It's a handy guide that should help with some of the hurdles that lurk with Open Office specifically. It's designed to help you no matter what software you decide to use as you do your formatting. "Will these templates work for me? I own a Mac." What will these free templates do for me? ANS: As these templates load into your word processor (any good word processor) they should AUTOMATICALLY reset and change the: font styles; font sizes; paragraph indents and chapter headings. For a .doc file to become an e-book everything has to be set to the exact specifics required for approval by the Smashwords Meatgrinder and the Premium Catalog approval crew at Smashwords.com. As your .doc file emerges it will become easily readable in most of the e-reader devices that are so popular these days; like Nook, Kindle, Palm Doc and many others. You may simply load the template one-time as you begin formatting in a new book, then delete the 'explanatory text' I've provided within the template. As long as nothing happens to change the settings, you won't necessarily need to set the templates as the default for your software. When you Save your book as a .doc file, the settings are also saved. Your book should always load with the same settings, unless something happens to thwart that. As I stated earlier above, I recommend using Open Office and these templates to get the job done faster, easier and save that $109. I've used them successfully and I know it can be done. That's the primary reason I've setup this web page and these templates for you. I went through a nightmare figuring every thing out, just to discover that if only I had a template (and a little one-on-one helpful guidance) to begin with, the formatting job would have been done in hours (not weeks). That's why I've prepared the free guide (available in the upper-column on the left and at Smashwords). YOU WILL NEED IT, if you take this cheaper, easier route I'm suggesting. The templates (below) will automatically cause your word processor to behave in a way that will please the e-book publisher 'Smashwords' , and the miraculous online wizard they call 'The Meatgrinder'. 'The Meatgrinder' is an online-application at Smashwords that will accept (your e-book) as a pre-formatted .doc file. It will then convert your .doc file into multiple file-types for all sorts of e-book readers like the Nook, Kindle, Palm Doc, Adobe Digital Editions and virtually every popular file type in today's digital-reader World. It will do it all as you wait. It usually only takes a few minutes. In other words, your novel or self-help book will go into the Meatgrinder as a properly formatted .doc file and 5 or 10-minutes later you will have self-published and gone to market with multiple versions of your e-book that may be read and enjoyed (almost like a real paperback or hard cover book) on practically every type of digital reading-device available today. NOTE: There are also Print-On-Demand companies that will take those files (or similar files) and for a very reasonable fee, they will Print-On-Demand as many copies of your book as you wish (per order), at prices that will allow a nice, fat and easy profit for the author/self-publisher. Some folks prefer to see a real and tangible book that sits on a shelf. That option is now open and available for anyone who wants to invest a few bucks in their own work. For those who haven't heard. Self-publishing is the new wave of the future. The old-fashioned publishers are all crying in their beer about it. We're quite apt to see them drop like flies in the next few years as more and more people become fully aware of the advantages that exist NOW in the digital realm. Gone are the days of an author waiting six-months for a rejection of their carefully prepared manuscript. Now their books, (fictional novels, non-fiction, self-help, children's-books and all manner of literary works) can be published and on the market within days or weeks with NO REJECTIONS, EVER. Gone are the expensive up-front fees, sleazy contracts and meager royalty percentages. Now the author/self-publisher makes almost ALL the profits. Today, any writer can e-publish for free at places like Smashwords. (Even the ISBN number is free, if we choose that option.) Smashwords will take our manuscripts we've prepared as a Microsoft Word .doc file and then DELIVER our e-books to all the dealers like Barnes and Noble and hundreds of other purveyors of the literary arts all around the Planet. NOTE: I have no affiliation what-so-ever with the people at Smashwords. I'm simply a fan. They have little or no idea that I even exist, other than the fact that I'm one of their many happy, self-published, authors. Your profit per sale of each authored book can go as high as 85%-90% of the cover price and rarely less than 65% of the cover price. Those percentages were unheard of in the past. Now, these new profit margins (for authors) are the standard. It means big things for anyone who has ever toyed with the idea of writing a book of any sort. Now, is the time. This awesome wave that's cresting right now bears all the rumblings of a revolution in progress. It's a literary-tsunami about to sweep the planet. So, What is THIS Web Site about? Formatting a book to become an E-BOOK can be a tedious affair. Without the free templates provided here, a person can expect to devote many hours following a guidebook then struggling (sometimes for hours) to precisely set their word processor's functions in the exacting way that the Meatgrinder will accept. Actually it's frustrating enough that it causes a lot of people to shy away from self-publishing at all. That is a shame because self-publishing is one of the greatest things to happen for authors since Gutenberg printed his first Bible. These free templates are EASY to use. They simplify EVERYTHING. You'll load the template like any regular .doc file, inside your word processor. As the template loads, it will automatically tweak the Program's innards and establish the protocols (font types, sizes, indents, heading styles, centering, etc., etc.) that the Meatgrinder demands. From that point on; all you have to do is: 'Delete' the text within the template and 'Paste' your nuked (plain-text) book in. Next, you'll setup your book with bookmarked Chapter and Section Headings that link back to the title (only) of your 'Table of Contents' page (or TOC), but not the listings in the TOC. Finally, you will then hyperlink all the listings within the TOC, back to the respective Chapter Headings and sections within your book, and you are pretty much done at that point. As you set your Headings to Smashwords recommendations you'll also be building a Navigation Menu (NCX). The NCX is a required necessity, especially for the epub (Nook) files and mobi (Kindle) files. You'll learn all about the NCX as you go. Don't worry about the NCX, it builds automatically as we format our books correctly. To do all this, you will definitely need Mark Coker's (free) Smashwords Styleguide. He explains all the NCX requirements there. I also explain them to some degree within the my free e-book 'Open Office through the Meatgrinder'. Also; no matter what word processor you use, these templates and my free e-book will help you, even if you aren't using Open Office. It most likely will help users of the full version of Word in a lot of ways too. I tried hard to not repeat Mark Coker's Styleguide instructions. Instead I found some amazingly different, faster and much easier ways to do things which most people will find relatively simple. I've been told that my way, when using my free help guide, 'Open Office: Through the Meatgrinder' is faster and easier by a factor of 10. Most savvy computer users will finish formatting their e-books by the end of Chapter 2 of the small 4-chapter e-book. Chapters 1, 3, and 4 offer explicit details for newbies and novice computer users, (computer-phobes) who may be armed with less confidence and computer skills. The 'Word Starter' (word processor) is free for most Windows 7, PC users. Word Starter is apparently like a kid brother to the $109 full version of Microsoft's 'Word' (word processor). Word Starter lacks a bookmark function but it can be forced to do the e-book formatting with a little help from Open Office, which is also free. The great thing about using Word Starter is that Mark's instructions in the Styleguide seem as if he was looking directly at Word Starter as he wrote the Styleguide. It's very easy to follow Mark's Styleguide if you are using Word Starter. So, I'm guessing that Word Starter must be almost identical to Microsoft Word, except for the lack of the bookmark function, (which is extremely critical). If you choose to use Word Starter you will need to setup your bookmarks some other way. For my first three books I set the bookmarks in Open Office, then loaded the file into Word Starter to finish formatting. I survived the ordeal, (though I'm still listing a little towards the port). Now (after that ordeal), I strongly recommend doing the whole thing in 'Open Office'. It's actually easier once we're familiar and comfortable using that word processor. Saving the $109 was a daunting task until I mastered a few tricks. After mastering the tricks, I wrote the free Guide you'll see in the upper-column on the left (advertising all my other books). My guide will help make it a lot easier for folks to save that $109, (the cost of the full version of Word). So, if you don't want to pay for Word to do your formatting, my free guide is your next best choice. I 'think' I've made job of formatting quite a lot cheaper and easier for almost anyone using any full featured word processor. These templates (below) are the secret. I have prepared six different templates. Smashwords recommends (insists on) just three accepted font styles (Times New Roman, Garamond or Arial). Your e-book may be any font you wish, as long as it's ONE OF THOSE THREE. So you'll choose one of the six templates (block paragraphs for non-fiction or indented for fiction) that you would prefer to see as the font and style of your book. NOTE: I'm not totally certain these templates will work for all versions of every word processor in the World. All you can do is download a template, load it into your word processor and try. If you do that, please be kind and report back to me your successes or failures. I may need to make changes to my own e-book; this web site and/or the templates, based on your reports. I can tell you right now that the free version of Jarte won't work, (though the full version may). The indents of your book are also important. If you are writing Fiction, you will want approximately a .30 first line indent for each new paragraph. If you are writing Non-Fiction (Self Help or whatever) you will want no indents with approximately a .06 spacing between each paragraph. So, I've preset, a Times New Roman, Garamond and Arial version of each of those two paragraph styles. Select the version you need in the font style you prefer. All the various headings (1, 2 and 3 only) and font sizes are set to Smashwords specs too. Stick with those headings and setups; hopefully your e-book will fly through the Meatgrinder and (For Sale, World Wide) in the Smashwords Premium Catalogs within record time. I want to show (some of you) a really neat trick right now that could save you some grief as you format and edit your book. It took me 72 years to learn this one. (I guess I'm a little slow.) I didn't realize it would be available and so very, very handy when editing a .doc file . . . Right now as you are reading this, hold down the 'Ctrl' key, at the bottom left of the keyboard. Next, scroll your mouse wheel forward (away from you). Notice that the text within this web page will expand to any size you wish. This trick will help you immensely as you are working and editing your book with a (tiny) size .10 font that can barely be seen with an electron microscope. I'm amazed at how few people are aware of that little trick. I was one of them until a couple of months ago, (and I've been a computer-nerd since 1985). Incidentally, I really am 72-years-old, folks. That pic you'll see of me at the top was taken when I was about 45 (1986?). Now I look a lot like a train-wreck in progress, haha. 50 years in the Honky Tonks will put a mile or two on any one. I haven't been near a camera in years. Cameras actually run from ME, now. The templates explain themselves as you load them. I think I may have slipped (a little) over the edge as I was writing them. It was perplexing, because I built all the templates at the same time, but each had minor differences in the wording and intention. Otherwise the text in each template was 'almost' the same. At 72 years of age, I consistently would forget which of the six I was working with. I would find a typo in one, then have to find it 5 more times in each of the other templates. They all looked nearly alike. It was frustrating and when I get frustrated, a certain wacky (divinely inspired?) humor occurs spontaneously. You'll just have to endure my wacky sense of humor. You're going to delete it all anyway. Everything should end well as my lunacy goes to lala-land where it probably belongs. After that, begin formatting with a copy of my free e-book open. You will probably be finished with your book by the end of Chapter 2. No kidding, (The little e-book is only 4 chapters.) Chapters 3 and 4 contain special detailed help for newbies and computer-phobes. As your questions and problems pour-in via e-mail, we'll fix the problems as they arise. Chapters 3 and 4 are likely to grow with time and your feedback. I answer every e-mail on the same day it arrives . . . unless I'm in a coma. Delete my (sometimes wacky) text within the template and paste your entire (plain text) nuked book where my text was. Presto! Your word processor will be automatically set to Smashwords e-book standards. The hard part is over, instantly! You'll still need to set your headings, bookmarks and hyperlinks, but my (also free) e-book will take you by the hand and guide you through it. After that, download and open my free e-book (on the right) and follow along in Chapter 2. Your e-book will be formatted by the end of that chapter. If you have problems, refer to chapters 1, 2, and 3. or e-mail me. I'll try to help. NOTE: Download the template you need (or prefer) below; open it in (free) Open Office and begin formatting with the help of my free e-book: "Open Office through the Meatgrinder." You will probably be finished formatting your e-book by the end of Chapter 2. Yes, it's actually that easy when using the templates. They do most of the work automatically. SPECIAL NEW DEVELOPMENT (01/16/2015): WARNING!!! There have been recent changes at the Smashwords Meatgrinder. Essentially, it means if your ebook contains a lot of critically placed images, Open Office may not be your best choice for e-book formatting. It seems that images are very difficult to position now, without using Microsoft Word. As far as I know, the Open Office crew hasn't offered a fix as yet. So, Open Office and the Templates below should work okay for Novels and books that do not contain many internal images. If you are picky about how your images are aligned, you may need to use some other Word Processor. 1. Times New Roman for Fiction. 2. Times New Roman for Non-Fiction. Have you ever wished to play the drum set? Are you a 'closet' drummer? Find out, in five minutes with my free drum set lessons. This first lesson may (hopefully) unleash a brand-new future hobby or career for you or someone you love. Follow the links at the bottom of each lesson leading to the next. You'll be jamming with every song you hear within the first five lessons. So, please come visit me at . . .